Central Coast Local Health District (CCLHD) established regular meetings with the NSW Department of Family and Community Services (FACS) and all health services involved in the care of pregnant women, in cases where there were child protection concerns. To ensure 100 per cent of pregnant women with prenatal child protection concerns at Gosford Hospital have one multiagency case discussion during the antenatal period, by January 2018. Improves the care of women with high-risk pregnancies. Reduces health and protection risks to unborn babies. Enhances communication between NSW Health and FACS. Improves coordination among maternity, drug and alcohol, mental health, Aboriginal health, child health and allied health services. Improves case planning and interventions for women during the antenatal period. Reduces the risk of adverse childhood experiences and associated health costs. Since November 2015, CCLHD has been working with FACS and other agencies to develop a local child protection intake and response service. This work identified the need for each agency to improve the coordination of care to vulnerable women with unborn child protection concerns. Prior to the project, communication between agencies was on an ad hoc basis and often limited to case workers and social workers. CCLHD was unable to respond to cases where the patient was admitted to a hospital outside the district, or received care via the Primary Health Network and other providers. It was also difficult to respond to cases where the patient did not engage with any antenatal or other services in CCLHD. Anecdotal feedback from health workers suggested there were frustrations about poor planning and ineffective interventions during the antenatal period, particularly for patients already engaged in drug and alcohol or mental health services. Research shows that effective planning, interventions and support can improve the long-term outcomes for children at risk. 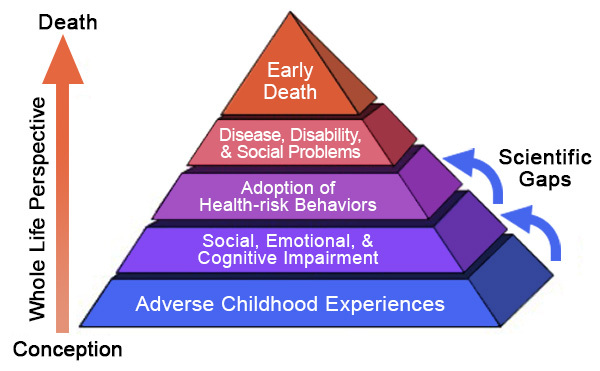 The Adverse Childhood Experiences study is a continuous study that articulates the lifelong impact on the health of adults from adverse events experienced in childhood.1 It shows that the higher the number of adverse events experienced, the greater the risk of disease and early death. In 2016 and 2017, CCLHD received 165 high-risk birth alerts from FACS, with 88 of those for Central Coast residents. It was determined that better support in the antenatal period would improve coordination of care and reduce risks to the unborn child. This support would ensure that healthy children are born into safe and protective families, ultimately preventing long-term harm to children at risk and reducing costs to health and other agencies throughout their life. poor communication within CCLHD, and between FACS and CCLHD. New multiagency meetings were established and attended by one representative from each of the key health services in CCLHD and FACS. They were held fortnightly during August and November 2017, one hour prior to existing SAFE START meetings. Cases nominated for discussion were those that had been reported to FACS and met the risk of significant harm threshold. A total of nine multiagency complex care meetings were held between August and November 2017, with a commitment from all participants to continue the meetings after the trial period ended. The total number of pregnant women reported to FACS with prenatal child protection concerns was 55 between August and November 2017. There were 33 cases discussed during multiagency meetings, equating to 60 per cent of all FACS reports received during this period. 100 per cent of cases where CCLHD staff had concerns were discussed at the meetings. Cases discussed at multiagency meetings did not directly align to FACS reports, due to different prioritisation processes of the two agencies. Priorities are determined by a range of factors such as child protection risk, pregnancy health factors, pregnancy stage, service involvement and client engagement. A designated FACS contact was allocated to CCLHD, so direct contact could take place outside of the multiagency meetings. Feedback from staff of both agencies indicated that the meetings had closed a critical gap and they will continue to sustain it beyond the pilot project. CCLHD has used the key learnings from the project to inform the development of a Complex Care Clinical Midwife Consultant position that will be recruited in 2018. It will be the responsibility of this position to further review and develop procedures with particular consideration to documentation processes. NSW Health agencies have some level of control and influence on each other’s systems and processes. However, there is no control over the systems and processes used by FACS, and influence is often dependent on the relationship with individual staff in the organisation. This was evidenced by a commitment to this project by a prenatal case worker. To successfully achieve the aim of the project, full commitment by FACS is essential. It is important to understand the different cultures and priorities of each agency. Try to find common ground and understand that collaboration means different things to FACS than it does to NSW Health. Work with the difference and not against it. The project challenged the assumptions that a reduction in high risk birth alerts would demonstrate a successful outcome. In fact, they are an effective tool to articulate the NSW Health and FACS response at birth, in cases where further safety assessments are required. Felitti VJ, Anda RF, Nordenberg D et al. Relationship of childhood abuse and household dysfunction to many of the leading causes of death in adults: the adverse childhood experiences (ACE) study. American Journal of Preventative Medicine 1998;14:245-58. Image credit: Substance Abuse and Mental Health Services Administration (SAMHSA). Adverse Child Experiences. Maryland USA; SAMHSA; 2017. NSW Ministry of Health. Child Wellbeing and Child Protection Policies and Procedures for NSW Health. Policy Directive PD2013_007. North Sydney NSW: NSW Health; 2013. NSW Ministry of Health. Guidelines for the Management of Substance Use During Pregnancy, Birth and the Postnatal Period. Guideline GL2014_022. North Sydney NSW: NSW Health; 2014. NSW Ministry of Health. SAFE START Strategic Policy. Policy Directive PD2010_016. North Sydney NSW: NSW Health; 2009. Smith M, Gotman N, Yonkers K. Early Childhood Adversity and Pregnancy Outcomes. Maternal Child Health Journal 2016;20(4):790-98.